Well, I'm sharing another video. This one is pretty bizarre but it was the best one for this song and I thought the gorillas were a nice touch! :-) It is long so don't worry about watching it all the way through...just watch it long enough so that you get the gist of the song! Since I had all of the ingredients, I decided to make another sugar scrub to compliment the Peppermint Scrub I made. Melt the coconut oil in the microwave for 30 seconds. Mix in the sugar until thoroughly blended. Add shredded coconut and lime oil or juice. Blend thoroughly. You should play the video while you mix up the scrub. Then, while you are in the shower using this wonderful scrub, you can dance around a little and sing this song, as it is one of those that sticks with you. You know, like the "Banana Boat Song" in Beetlejuice! Hey, what can I say...what this post lacks in substance it makes up for in cheap entertainment! Benita, it might of been cheap entertainment , but boy oh boy , you hit it out of the park again with this post. Sooooo funny !! Tammy, thank you so much! You are such a sweetheart and I appreciate your support!! Your sweet comments are much appreciated!! I'm so glad you are enjoying the peppermint scrub - I think you will like this one also! And why should I be the one one with that song running through my head??!! I like to share things with friends!! ;-) Hugs!! Yes, definitely entertaining! Coconut and lime are two flavors I just love to eat....why not scrub it on my body? Another great recipe to try! How very tropical! Love the Beetlejuice video...not sure about those gorillas...either way, the scrub sounds delish and something even I could make! Yum! Thank you ma’am! Definitely tropical and the gorillas were a bit creepy! :-) The scrub is easy peasy, smells good and would probably taste wonderful! Thankfully I kept the spoon out of my mouth! My favorite tropical flavors! as I conga off to the kitchen to the Banana boat song! 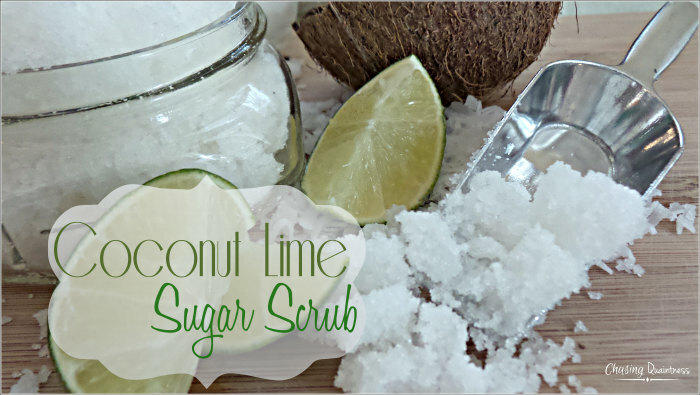 Your scrub sounds heavenly! =) Thanks for sharing both the recipe and the videos! Have a wonderful day! You are hilarious!! Did you get someone to video you doing the conga to the banana boat song? I would pay good money to see that!! The scrub is awesome! :-) Have some with your Pina Colada! Have a great evening! Hugs!! Strange - I was singing this song earlier this morning. Love the gorillas. Where do you get coconut oil and essential oils? You have convinced me I need a new craft - sugar scrubs! In the next day-o will there be banana sugar scrub with a touch of rum? FUN!! Thank you for the scrub idea. Fabulous Benita! The banana boat video topped it off! Thanks for the scrub recipe! YouTube! You can find ANYTHING on YouTube…LOL I love Practical Magic!!! And you are right, great movie, great house, great actresses, great script…yep, great everything! You are welcome…give it a try! I’ve seen what’s in your pantry and fridge…LOL Hugs!! :))) Thanks for the 'earworm' ~ I'll be singing that for days!! I can not wait to try out the Scrub and like you it does not matter to me what you name it just how well it works and smells. I think you will like it. 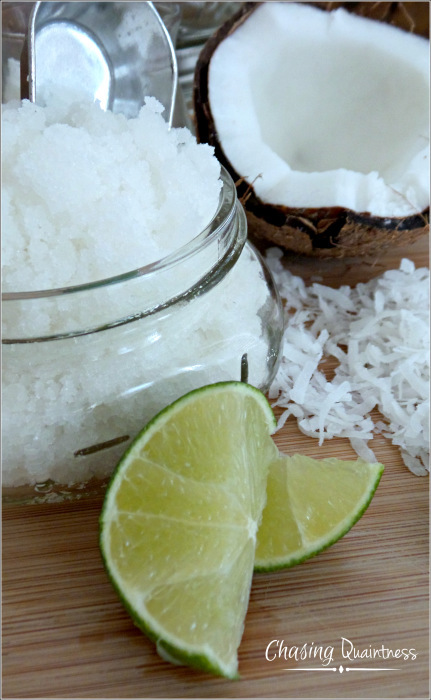 If you want a stronger scent, add more coconut and lime! Benita, I love how you mix the visuals with the recipe...so creative! So nice to do #OMHGWW with you!! Thank you so much! And thank you for the party! Have a great day and a great 4th! I think you will enjoy it! 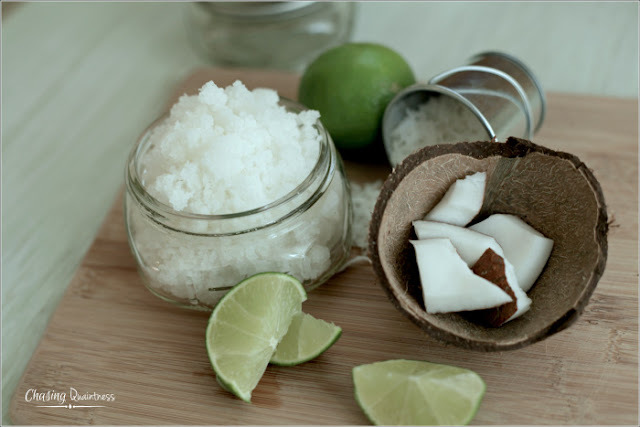 You can add more coconut and lime to suit your taste...not literally, but figuratively, speaking! ;-) Thanks so much! Thanks so much Mila! Hope you have a wonderful day! Thanks so much for linking up at The Pretty Pintastic Party, and repinning the features! We love your post, and will be featuring it at the party next weekend! Stop by and grab a featured button and link up some more awesome posts! Jamie, thank you so much for hosting and for featuring my scrub next week!! I appreciate it so very much! Have a great weekend! !